with more than a decade of experience. During his service period, he went through the Skillful Teaching Enhanced Mentoring (STEM) Programme, a course jointly conducted by Research for Better Teaching, Inc. (Massachusetts) and New Teacher Centre (California). Upon being certified, he went on to be a mentor to other Physics teachers ranging from Interns to Teaching Scholars. Calvin Kong also held the role of Senior Teacher for Physics. As a designer for the Physics Curriculum, he grew to be very familiar with the Syllabus set by Cambridge International Examinations (CIE). His many years of experience with students from different academic backgrounds and foundation had also allowed him to understand and pinpoint the difficulties faced by them. Through years of planning and fine-tuning, he had developed a powerful teaching programme which is able to push all students to their maximum potential. Under his tutoring, 100 % of his students exceeded their expected grade that is predetermined by MOE (known as Expected MSG). Being able to break down difficult Physics concepts into simpler bite size ideas, and later putting everything together again, Calvin Kong broke national record by bringing a group of students of T-score 200 to ace the O-levels with majority attaining distinction grade. Having years of experience is not enough because one may be repeating an error over those many years. An effective teacher is one who often evaluate his methods, drawing lessons from his experiences and constantly refining his craft to achieve even better outcomes. As such, he is always a student. Living by this philosophy, former Senior Teacher in Physics Calvin Kong is constantly seeking to be better than before. In his 12 years as an MOE teacher in Singapore, Calvin Kong had never stopped refining his teaching strategies and teaching resources. Like fine wine getting better with age, his teaching methods were proven with results. 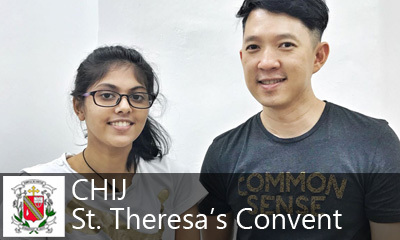 In recent years, all Physics students in Singapore attending his Physics Tuition classes have excelled in the subject with the majority getting a distinction grade. Back in 2010, Calvin Kong was assigned to teach a class of students with an expected MSG of 3.9. With the right pedagogy and strategies, he brought them to ace in the O-levels with 60% obtaining Distinctions, a good 15% above the National Average of 45%. In addition to that, no students scored less than a B3 grade. The mean subject grade of 2.1 far exceeded the expected 3.9, making this achievement the highest in the country. Since then, he decided to devote all his time and energy into developing the best materials and strategies to help students achieve their best in the National Examinations.